On the 2nd May 2017, Digital 22 attended The Inbounder 2017, held at the Congress Centre in London. 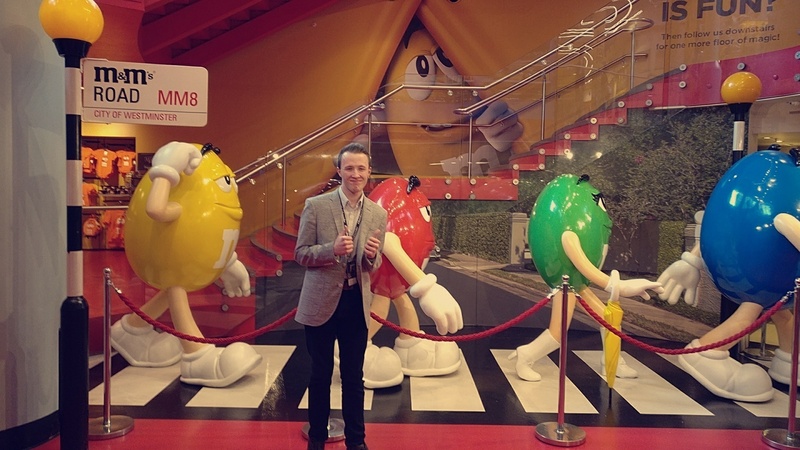 Our very own, Sam and Danielle, were there to listen to all things SEO, PPC and Inbound Marketing. And well, we weren't disappointed. 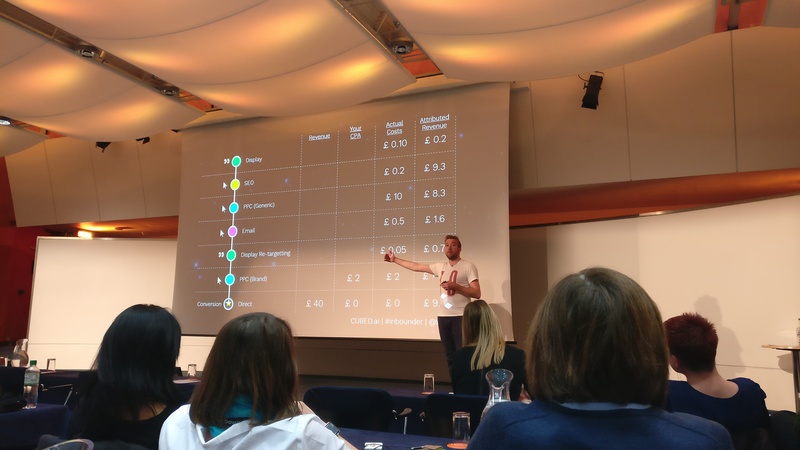 Inbound knowledge was in abundance, with keynote speakers from the likes of SEMRush and BrightonSEO in attendance, we couldn't expect any less. Without further ado, here's our top findings and takeaways from The Inbounder (in no particular order). That's courtesy of Kelvin Newman from BrightonSEO, and what a way to kick off The Inbounder for us. Podcasts are the new "in" right now, but have been for a while, so when we heard this we had to take a second take/glance. But it didn't stop there, whilst the fixation around the room was on Kelvin's pink high tops (kudos - credit where it's due), he was giving us more and more reason to be podcasting and leaving those who aren't, questioning. I mean, in the past two years, monthly podcast listening has grown by 40%, with more than half of all podcast consumers listening to three or more podcasts per week. Madness. The potent point for us was, everybody can podcast, but more so, everybody should podcast. As Kelvin nailed perfectly, all you need is a couple of mates around a microphone with something to talk about, whether that's a Blue Snowball or the very laptop your reading this blog on. It's simple and anyone can do it, I mean, take a look at our inbound marketing podcasts for example. 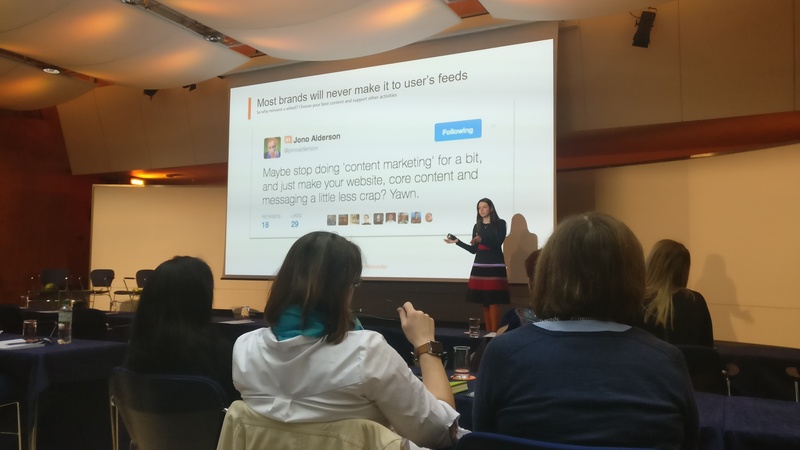 Olga Andrienko, from SEMRush, took us back to basics with her eye-opening talk on humanifying your social media strategy, in order to drive conversions. Whilst it seems simple, it was worrying to see how social content had merely turned into a distribution means rather than a networking platform. Again, a potent point Olga raised, was that "your social media is like a hotel receptionist, a visitor's first impression can make or break their experience". Olga Andrienko at The Inbounder, delivering Jono Alderson's renown tweet. A common fear around the room was the worry of not having enough content as you reduce the amount of scheduled content you post, but as Olga said, fear not - repurposing is key. Be bold, but more so, be creative. Have a tweet that banged in particular? Shorten it. Repost it on a personal account. Hey, even post it with a GIF or emoji. Focus on your strengths and you'll quickly establish yourself as someone your followers want to interact with and take time out of their day to read your content. Above all, the biggest point here was to embrace inbound marketing, don't focus on delivering content, focus on your followers and they'll make time to click-through to your content - let them come to you. It's called 'social' media for a reason, make them your biggest advocates. Content was a big focus here, and rightly so, Kirsty Hulse from Manyminds stepped up, and didn't disappoint with her spin on link building with minimal effort. The perfect scenario, right? One of her points was utilising Amazon New Releases, at which point everyone looked around in bemusement (oh, how wrong we were!). Amazon New Releases contains independent publishers listing their books for pre-order up to a year in advance, mix your outreach strategy with publishers actively looking for promotion? Easy win. Not only that, Kirsty then went on to emphasise the importance of questions in your outreach, prompt responses and intrigue from the recipient. That being said, avoid using them in the subject line as they're already questioning who you are, don't make them question the purpose of your e-mail. Most importantly, the key theme here was "don't pay for links, pay journalists on a consultancy basis", get them to read your content and outreach to decipher why you aren't getting the responses you want. I mean, who knows a writer better than a writer? Another easy win and it'll work out cheaper in the long run - as your outreach is more effective. Ram-packed with content, the 5 minute mark drew and she quickly became reminiscent of Eminem's Rap God, albeit with Inbound Marketing. Impressive, nevertheless. Russell McAthy, from Cubed, stepped up and tackled the issue that many SEO's and marketers face: does Inbound Marketing actually work? We took a deep dive into Google Analytics and got into the real nitty-gritty aspects of measurement and reporting, but the important talking point? Doing it accurately. One thing that particularly stood out, is that if you're not assigning values to your goals, how are you going to judge not just the value of that particular visit, but more so the value of the content on your page. If you find one blog post is generating a large volume of newsletter sign ups, and another one isn't, you can try and replicate the value of the format or tone to generate better ROI on these posts. It gives you a sense of direction with your content strategy. Russell also pointed out how fundamental it was to assign values in general numerical format rather than currency, so that it doesn't distort your revenue figures. If you particularly value a visitor adding something to their cart, assign a "50" value to the goal - not "£50" as there's no guarantee they actually checked out. Great tip. 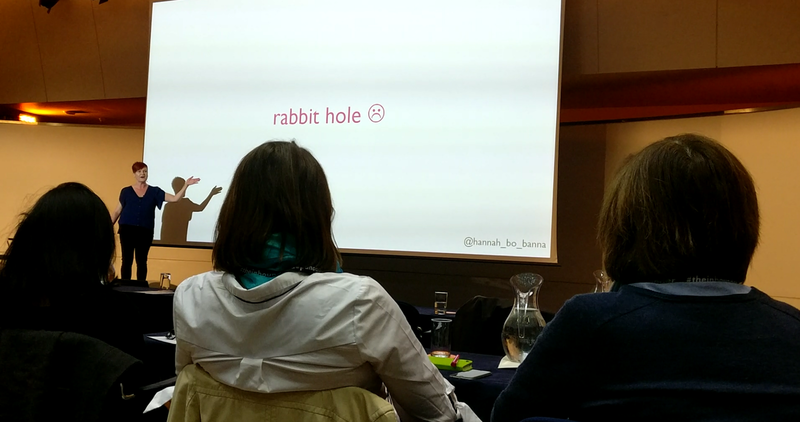 Hannah Smith, from Verve Search, came out all guns-blazing with 257 slides (yes, you heard that right). That's two hundred and fifty seven slides of pure gold when it comes to remaining creative without actually being 'creative'. Avoiding rabbit holes was the theme, i.e. avoid getting lost in new ideas. Simply just build on what you love, then mix that with what your audience loves. Simply search a list of topics you think are relevant for your niche, find 10-15 sites from it. Now take the 10-15 sites and search each site for topics that both feature numerous times and ones that only feature on one or so of the sites. With these topics (both the ones that feature frequently and the nicher ones) search those and find more sites. Rinse and repeat until you get a key theme of topics that are being actively searched. Go back to what you think works (doesn't have to be directly related), whether it's a particular design of a poster, wording of a leaflet, or copy of an advert. Implement these formats into the topics you've found and bam! New content that's worked elsewhere. Plenty more to go through on this talk given the treasure-trove of slides, but this technique was the one that certainly stuck with us. That, and Hannah's enthusiasm/passion for idea building! We could talk about our time at The Inbounder all day and there'd be no end in sight for this blog, so as the saying goes: "all good things have to come to an end" and it surely did. It was a great opportunity to grow and learn alongside industry professionals and we wouldn't hesitate to go again. 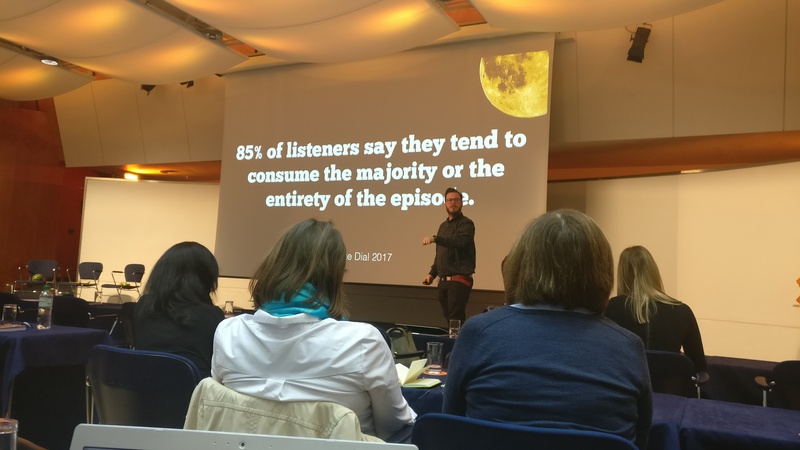 Whilst we couldn't include all of the talks in this blog (yes, we feel the guilt), you can check out all of the slides and decks on the We Are Marketing slideshare account. Packed with useful knowledge and tips you won't be disappointed. So, thanks again to The Inbounder, Gianluca Fiorelli and SEMRush, for putting together such a memorable event. We hope to attend again! Looking for a cheatsheet for SEO? You've found it. This downloadable cheatsheet highlights all the key factors you have to consider when managing a successful SEO strategy. Inbound After Hours Podcast - Episode 2 - Why Isn't Everyone Using Social Media Ads?